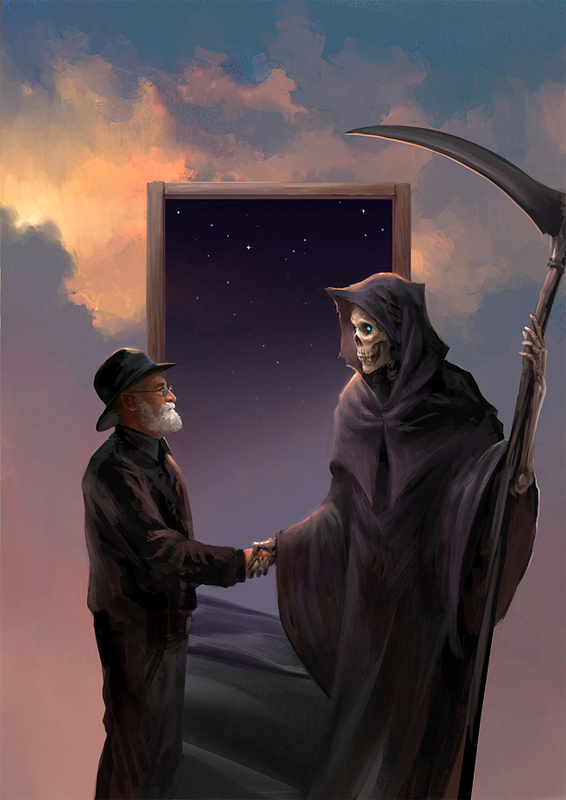 Shog just sent the link to this beautiful picture of Terry shaking Death's hand. It's now my desktop background. I wish I knew who the artist was so that I could comment on his or her work. ETA: fairyniamh found the artist, who's called Sandara. If you like, you may comment on Shaking hands with Death (her title) at DeviantArt. Breathtakingly beautiful. Terry would be proud of this piece of art. I can't stop staring at Terry's beard and Death's eyes.